Dialogs featuring a button enable editing the object properties directly in XML. This option should be used by experts or for viewing only. Copies the XML text to the clipboard. Cancel the dialog without saving any changes. 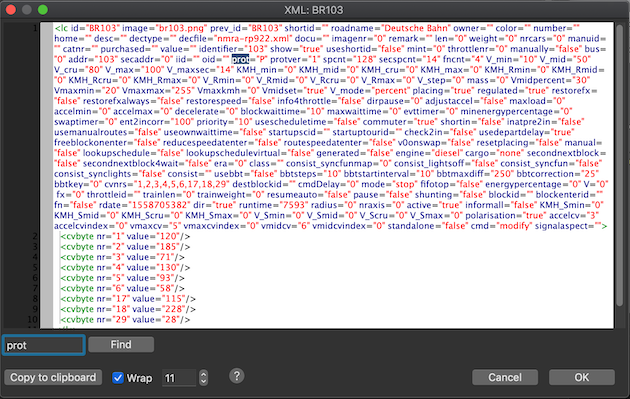 The XML Text will be parsed and saved if its well formed.